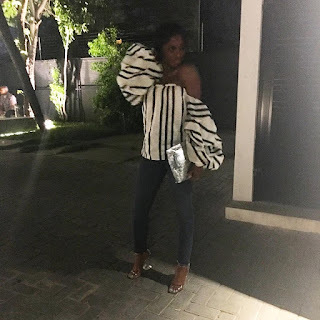 Glowy: Who wore The Loewe Methacrylate 11cm Heel Sandal Better Between Lisa Folawiyo and Solange Knowles. 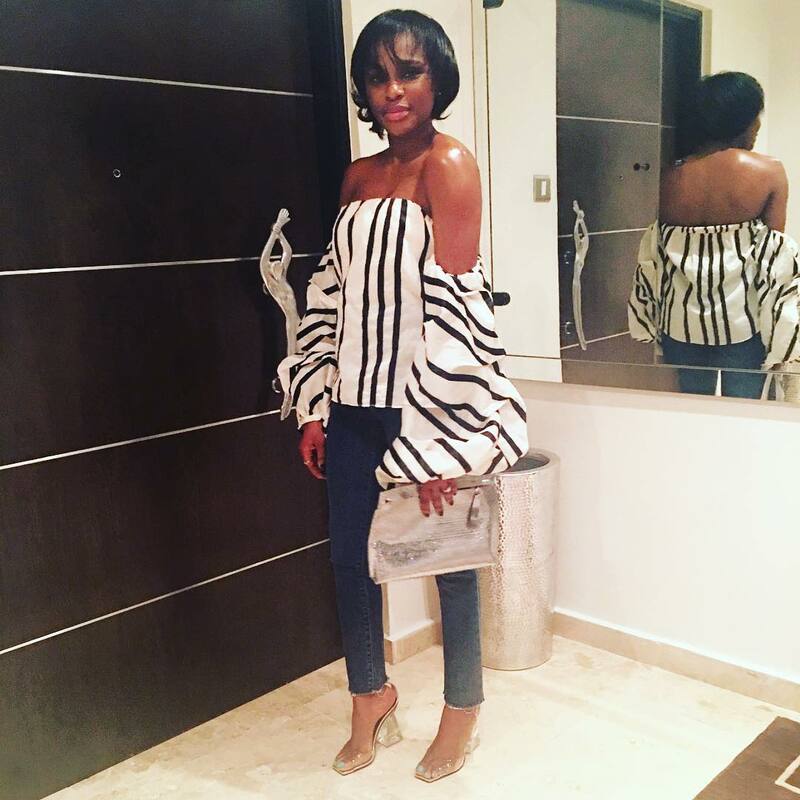 Who wore The Loewe Methacrylate 11cm Heel Sandal Better Between Lisa Folawiyo and Solange Knowles. I saw this picture some weeks back but i didn't really put much attention to it not untill i saw that of Solange Knowles. 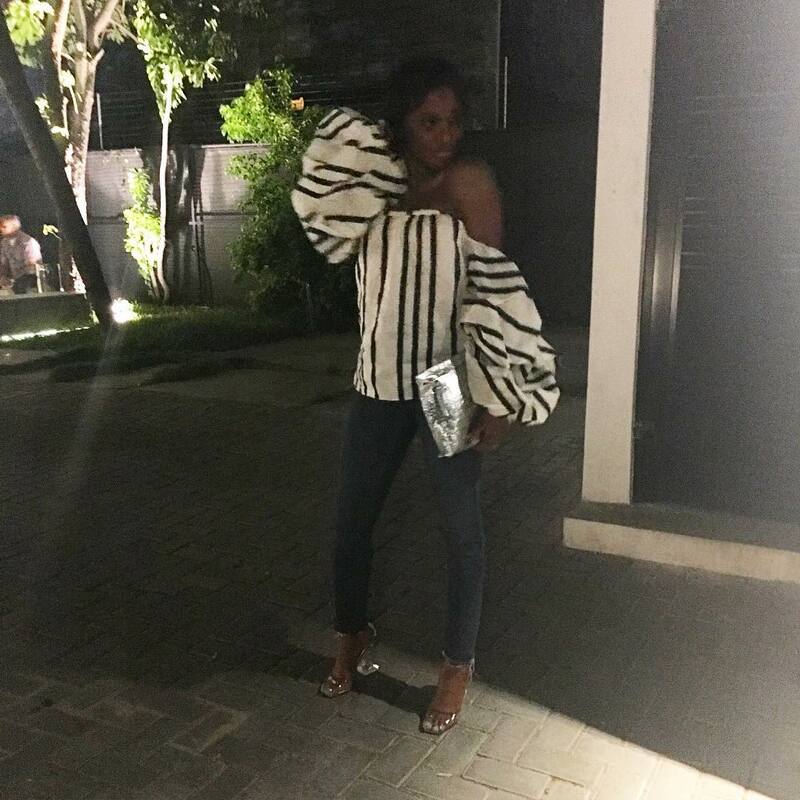 Lisa Folawiyo wore this Loewe Methacrylate 11cm Heel Sandals on an attenting which she wore with a stripped off shoulder top and a blue skinny jean. I don't know if i will be mistaken to say Lisa might have virtually all the popular designer luxury brands you can think of. 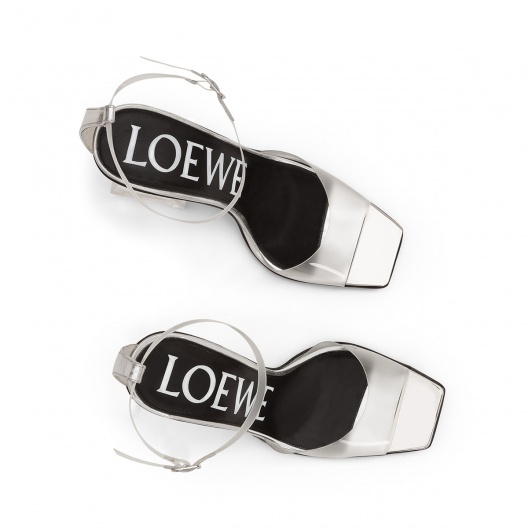 Loewe, S.A. is a Spanish luxury fashion house based in Madrid and is owned by the LVMH Group. 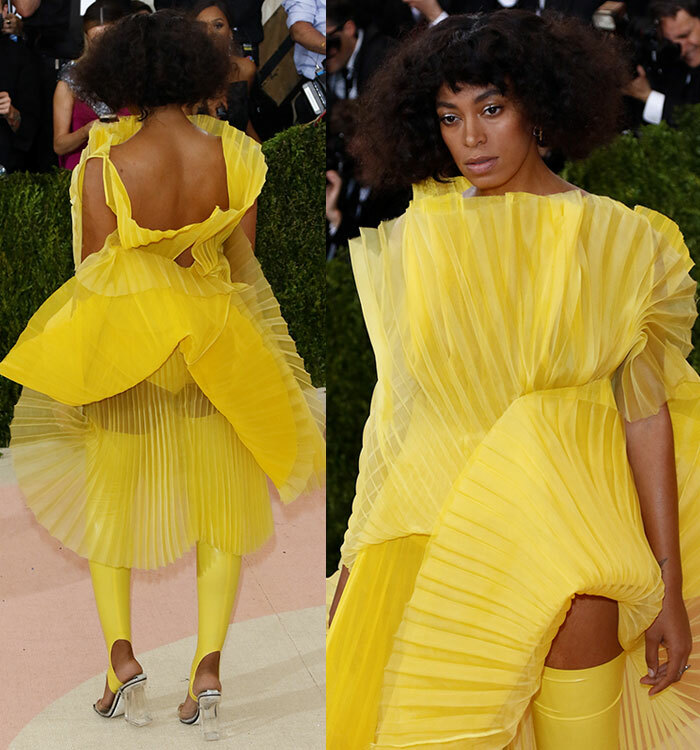 Solange was dressed in an head-to-toe in yellow as she walked the red carpet at the just concluded 2016 Met Gala held at the Metropolitan Museum of Art on Monday May 2 in New York City. 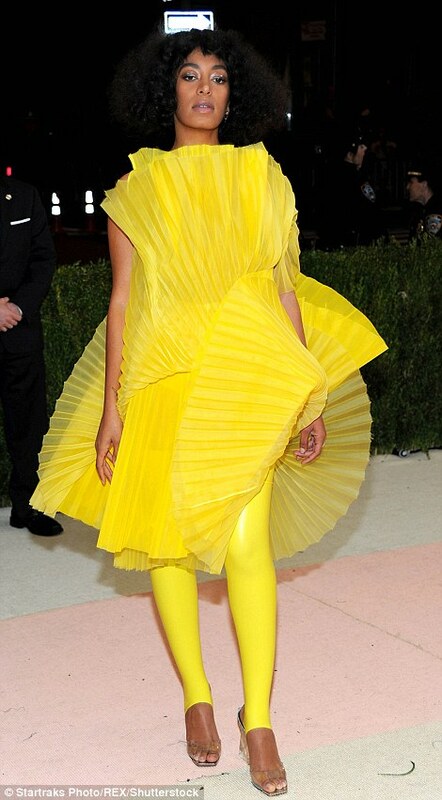 She still wore the shoe but changed the outfit for the Met gala after party. 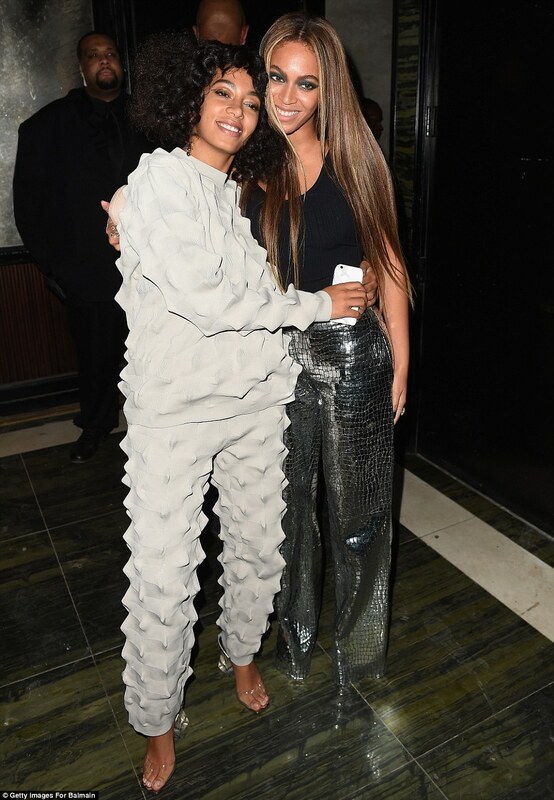 The difference in the way they wore the shoe is that, Lisa wore here's with the buckle while Solange tucked the buckle underneath her foot. I just wonder how comfortable she felt. Guys now you know that you don't just alter clothings only but you can alter shoes to suit you best. 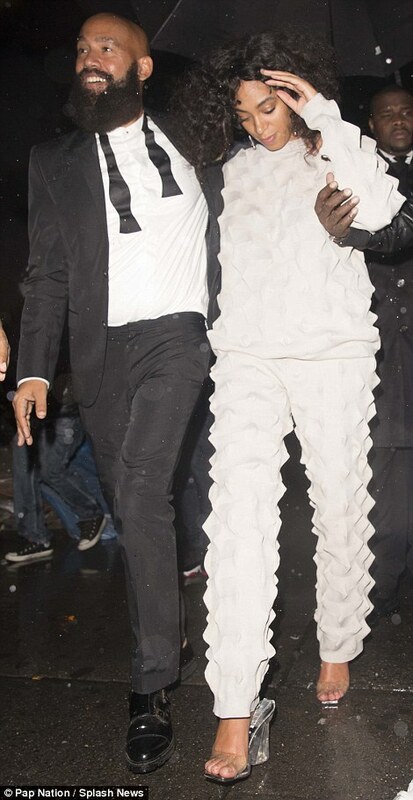 So who do you think wore the shoe better? Gorgeous heels!!! Lovvvve that blouse too! 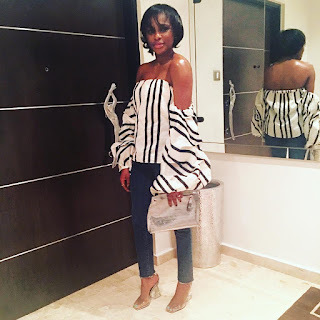 Fabulous babe!